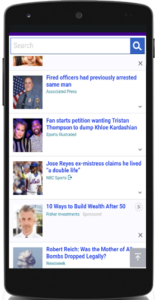 Native ads are one of our top performing digital ad products and if you aren’t offering this to your clients, you should be! These types of ads dynamically match the look, feel and visual context of the website or app where they are seen. These are not your average display ads. They can run across all devices or be specified mobile only. Digital ad spending is steadily rising, and no area is intensifying faster than native advertising. 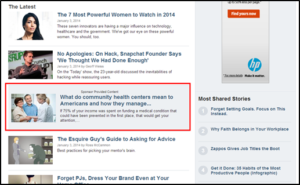 Native ads come in many forms, but all share the common goal of not “looking” like an ad. Native ads are proven to have higher levels of engagement than traditional non-native ads, and they get results. Contact Vici today for a free consultation on how we can help you maximize the power of Native Advertising.